Judge Rinder doesn't believe they should receive payment and, according to our exclusive survey, the majority of the public agree. So should charities pay celebrities? 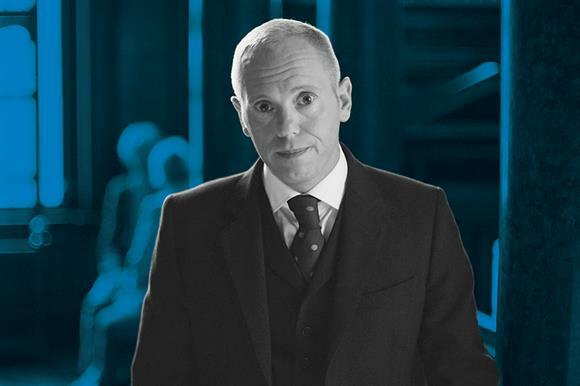 The TV barrister and one-time Strictly Come Dancing contestant Judge Rinder is highly critical of celebrities who accept payment from charities. Writing in the London Evening Standard newspaper in January, Rinder said that one of the things he enjoyed about being a celebrity was being able to freely give his time to draw attention to good causes. But he disliked the fact that well-known figures were taking "full-blown fees" for their charity work. "The truth is, I don’t give a fig about what so-called celebrities do, but if you take money from a charity (especially one struggling to get public attention), then you deserve to be called out," he wrote. He said it had come as an "immense surprise that this you-scratch-my-back relationship between the glitterati and the charities exists at all". The issue of charities paying celebrities to promote their work has been a thorny one for years. 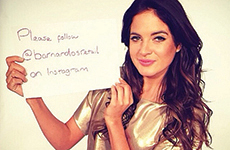 Three years ago, Barnardo’s was fiercely criticised after it emerged it had paid the Made in Chelsea star Binky Felstead up to £3,000 for fronting a campaign to promote the charity’s shops (right). Felstead gave her fee to another charity, but the story attracted negative comments on social media about the charity’s decision to pay her at all. The general public seem to dislike charities paying celebrities. An exclusive Third Sector survey of more than 1,800 people found that almost three-quarters of respondents were against charities making payments to famous names (see charts below). Rinder suggested in his article that many charities pay celebrities for their involvement in campaigns, but charity celebrity liaison experts tell Third Sector that payments are rare. Last year, the animal welfare charity Blue Cross was planning to ask the public for nominations for its Blue Cross Medal, an award first given out during the Second World War to animals that achieved something amazing or showed remarkable bravery. The award, which has only been given out occasionally since the war ended, was last run in 2016, when about 40 nominations were received – this was about the same as in 2015, when 35 animals were put forward. The charity decided last year to run the award again and opened applications in October. 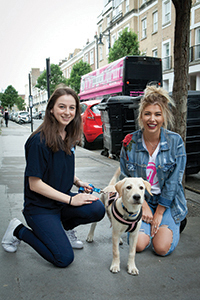 Over the summer, the Love Island contestant Olivia Buckland visited the charity’s animal hospital in Victoria, London, with one of its corporate partners. The charity later asked her to promote the award to her 1.3 million Instagram followers. She shared an image of herself with her dog Reggie and asked people to take part in the competition. The charity received 100 new nominations for the award within 24 hours of Buckland posting about it, contributing to a final total of 137 by the end of February, more than three times the number that were received two years ago. "The reach Olivia has on her Instagram has allowed the Blue Cross Medal to be seen by far more people than before," said a spokeswoman for the charity. "We’ve been so grateful to her." The winner of the medal will be announced in May. Rachel Braier, a freelance celebrity engagement consultant, says celebrity agents will ask about payment for their clients’ involvement in charity campaigns in about one in 10 cases, a figure she says has not changed in recent years. She says she would never work with a celebrity supporter if a fee was involved, but understands the reasons charities might consider it. "If you do your homework and you know the type of reach you are going to get, then absolutely there is a financial argument for doing it," she says. Celebrities typically have large followings on social media channels such as Instagram, so it can help a charity reach far more people than they otherwise would, says Braier. But she believes that a celebrity who is paid for their endorsement might not speak with the same passion as a famous face who is giving their timely freely because they have a connection with a cause. "People can see through a lack of passion," warns Braier. And, if a newspaper gets wind of a celebrity being paid, as in the Felstead case, it can lead to heavy criticism, she says. In 2015, Barnardo’s said it "took a business decision" to hire Felstead, arguing that it wanted to reach a new, wider audience. But the charity does not pay celebrities now. In 2014, the international children’s charity World Vision paid a group of artists, including a folk-rock band fronted by the Downton Abbey actor Elizabeth McGovern, to promote the charity at their concerts. At the time the charity described the £28,000 it spent on the artists as a "cost-effective" way of marketing. A spokesman for the charity says it continues "periodically" to pay for celebrity endorsement in order to promote its fundraising to people it would not otherwise reach. Lisa Ann Richey is professor of international development studies at Denmark’s Roskilde University and author of books including Celebrity Humanitarianism and North-South Relations: Politics, Place and Power. She believes the public’s view on paying celebrities is indicative of a broader view that people should not be paid to work for charities generally. "My suspicion is that people naively assume that you ‘should’ work for a charity on a voluntary basis, and that it is a sign of your commitment to the cause in general," she says. Lee Dainty, celebrity and VIP manager at the MS Society, is chair of the Celebrity Managers’ Forum, a group for charity celebrity liaison managers. He says things tend to work best "when celebrities have a personal connection to the cause". According to Third Sector’s research, people do not believe that celebrity endorsement makes them more likely to support a charity. But Dainty says celebrity support remains vital for many charities. "Their involvement in our events and campaigns secures us media coverage," he says, "enabling us to explain to people the impact MS can have and the work the MS Society does. People might not think celebrity backing affects their view of a campaign, but we believe it has a huge role to play. It draws attention to a charity, then the cause itself brings people in." The financial evidence suggests they can make a difference. In 2014, Unicef UK raised about £5m from an appeal that formed part of the Commonwealth Games opening ceremony in Glasgow. 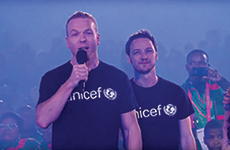 It was fronted by famous Scots including the actor James McAvoy and the cyclist Sir Chris Hoy (right). The charity’s celebrity football match, Soccer Aid, has raised more than £24m since 2006. A spokeswoman for Unicef UK says: "Celebrities have a unique ability to reach millions of people, many of whom might not normally be engaged on the suffering of the world’s children. They dedicate their time, for free, to uphold our values in and among very busy global work schedules. We are immensely proud of them and their ongoing commitment to and enthusiasm for our work." Braier, who tends to work for smaller charities, believes celebrities provide "invaluable media cut-through" in a crowded market place. "Everyone needs celebrities," she says. Research commissioned by Third Sector shows that almost three-quarters of people think it is unacceptable for charities to pay celebrities to appear in their campaigns. A representative survey of 1,830 people, carried out in December and January by Harris Interactive on behalf of Third Sector, found that 73 per cent of respondents thought it was unacceptable for charities to pay celebrities for their support, while the remainder said it was acceptable. The survey found that older people were far more opposed to the idea than younger people: 89 per cent of those aged 65 and older who took part in the survey were opposed to paying celebrities, compared with 50 per cent of 18 to 24-year-olds. Fewer than 1 per cent of over-65s said the idea was very or extremely acceptable, compared with 15 per cent of 18 to 24-year-olds and 20 per cent of 25 to 34-year-olds. People living in London were far less opposed to paying celebrities than those in other areas, with almost a quarter of those surveyed in the capital saying it was acceptable. In only one other region did more than 10 per cent of people say the same. According to the findings more than two-thirds of people said that celebrity endorsement of a charity campaign did not affect their willingness to donate to that campaign. Researchers found that 69 per cent of people said the involvement of a celebrity in a campaign made them neither more nor less likely to make a donation. Eighteen per cent of respondents said they were more likely or much more likely to donate because of celebrity involvement, and the remaining 13 per cent said celebrity endorsement made them less likely to give to that campaign. Younger people were much more likely to be swayed by celebrity endorsement of a campaign, with 32 per cent of 18 to 34-year-olds surveyed saying it would make them more likely to donate, compared with just 9 per cent of those aged 45 and over. But the proportion that said celebrity endorsement would make them less likely to donate remained fairly constant across all age groups, typically around 12 or 13 per cent. The survey showed that four out of five people were unable to think of any campaigns endorsed by celebrities. But among those who were able to name one, the most commonly mentioned celebrity by far was the actor Ewan McGregor, followed by the comedian Sir Lenny Henry and the actor Liam Neeson.